New Alejandro Escovedo! Pre-order The Crossing NOW! Listen to the first track “Sonica USA” HERE via NPR. Featuring Wayne Kramer of MC5 on guitar, the scorcher serves as an ode to the 70s punk scene where Escovedo found solace as a Mexican-American growing up in Austin, and the solidarity he found in his brother’s own pioneering punk band the Zeros. Alejandro Escovedo will kick off an international tour later this summer, with Don Antonio joining him on the road as backing band. See full routing below, more dates to be announced soon. 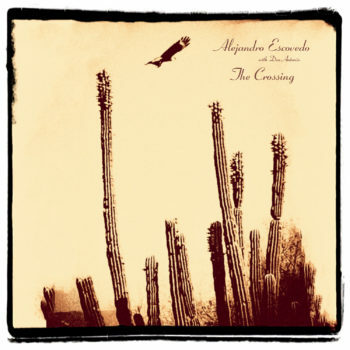 Alejandro Escovedo’s ‘The Crossing’ is OUT NOW!